Hi Matt! One of the most frequent questions we get from players is “When will tools be available and what will they be?” Are you able to shed any more light on this yet? Absolutely! We’ve been keen to get information out about the tools for ages now and answer those burning questions around the community. Whilst we’re not going to answer everything in this one article, I do want to try and cover some of the headline questions. What will the editor look like? 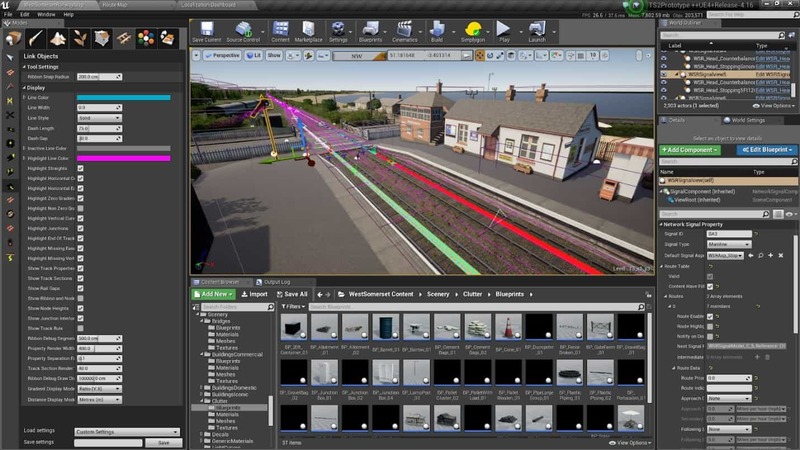 As was briefly mentioned previously, the Editor Tools are built on the Unreal Engine 4 Editor. We have made many changes to the core code of Unreal as well as adding a large library of our own capabilities on top but, beneath all of it, the UE4 Editor will still be what players will be using. Which platforms will it be available on? Will Xbox One and PlayStation 4 players be able to use it to make content? The UE4 Editor is a Windows PC only application; it won't be possible to use it to create content on the Xbox One or PlayStation 4. We're looking into some potential options for console owners to join in the fun in some other ways for the future but the UE4 Editor itself will be exclusively for our PC players only. What will people be able to create? The Editor will be the same as what we use to make our own routes, locos and gameplay for PC, Xbox and PlayStation. So, you should be able to make your own locomotives, wagons, coaches, routes and scenarios, all the same content that we can make. Figure 2: Part of the Service mode timetable from West Somerset Railway, can you figure out what all the lines mean? Is there anything people can do now if they want to get a head start? 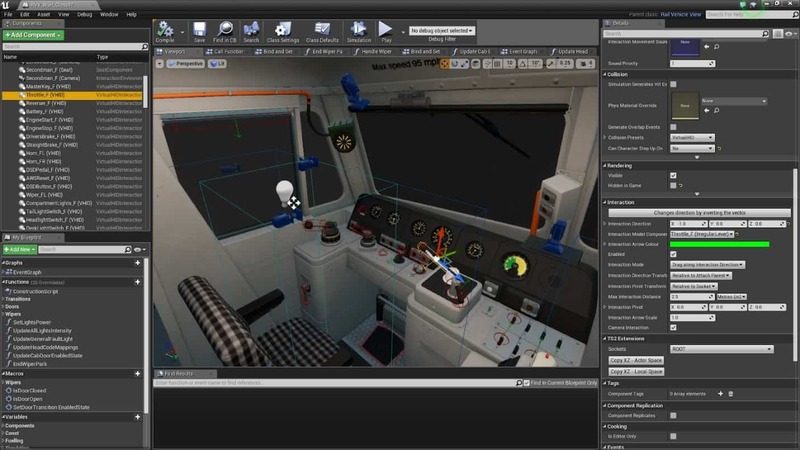 Download the UE4 Editor from Epic and start learning. They have a fantastic series of video tutorials on their YouTube channel which will help you get to grips with the environment and learn all of its intricacies. For those wanting to make scenery or rail vehicles, the single biggest advice I can give you is to learn how to make the best out of the Material system and how to implement PBR (Physically Based Rendering) materials on your models. Learn how to capture lots of extra detail via normal maps and generally get your assets looking as good in UE4 as they can be. You can bring a 3D model of a loco in to UE4 and work on its materials even before you're using the TSW editor, which will give you a big head start once the Editor Tools are released. The next obvious question is… when? When can players find out more, or even get their hands on the tools? We are targeting this year to release the tools into an Open Beta and will get more specific with dates as we progress. 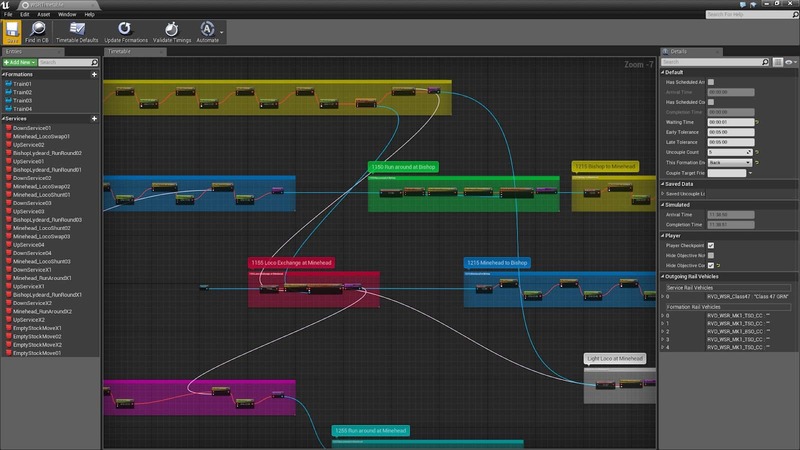 It’s really important that we try and streamline how you make the UE4 editor work with the content in the game, so the team are working hard on making that a straightforward process at the moment. The distribution of the editor will be done via the Epic Games Launcher so it’s worth getting that installed and making sure you’re able to log in to their system ok. Once you have that installed you’ll notice that it has a “Modding” tab; that’s where you’ll find us once we launch the open beta. Going forward I am hoping that we can do some live streams showing the tools, so you can start seeing things happening. We are also in the process of putting together some video tutorials covering some aspects of the editor, we’re aiming to launch with an initial set focusing on Scenario creation and then develop the collection as we get feedback from creators and what they specifically want to see and understand. That's great! 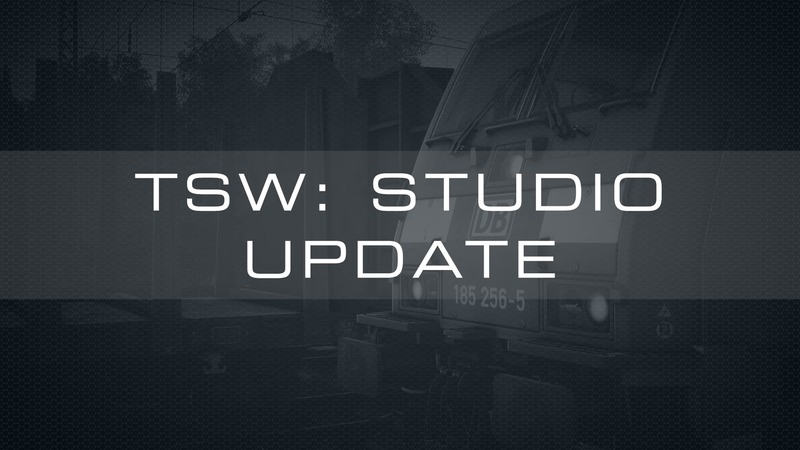 - that answers some of the main questions that the community are asking and it’s great to share that tools for TSW will be coming! Moving on to a topic we mentioned a couple of months ago... how are things progressing on SimuGraph? I’m happy to say that the HST is now completed and the CSX GP38-2 is now under way. We don’t have a plan to share yet about how we start getting these out to you, but we’re keen to do so as soon as we’re ready to. That’s all we have for you now but, we’ll hopefully be back again soon with another Studio Update. Please keep your feedback coming in on our dedicated forums and let us know if you have any specific questions you would like answered in one of these Studio Updates. Thanks very much for your patience!